Check-in for the New Users Conference Day will open at 8 AM on Monday. Check-in for the Developers Conference will open at 8 AM on Tuesday. All onferences days start at 9 AM and end by 5:30 PM (US/Eastern). 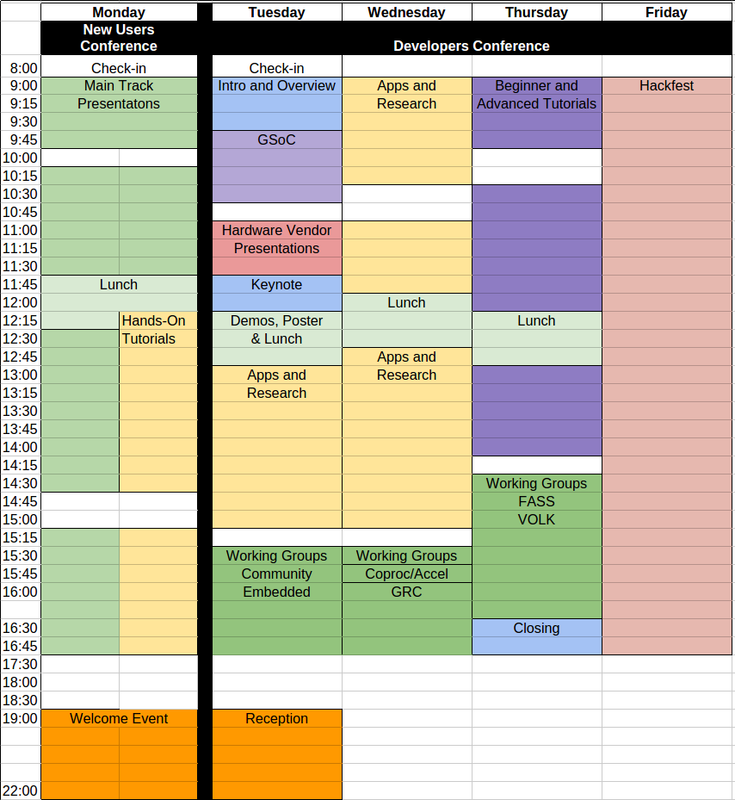 Please Note: The table below shows the presentations of the main conference track. In addition, we will be hosting two free hands-on tutorial sessions with limited seating. Check back for more details on how you can register for the hands-on sessions.